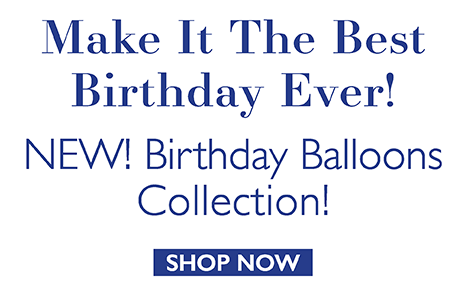 Exclusive offers, sneak previews and more! 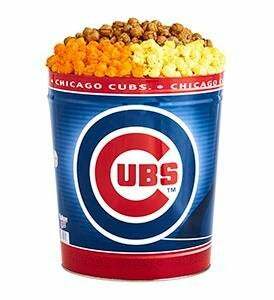 will be absolutely delighted - we guarantee it. 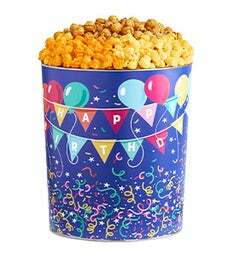 Our happy band of popcorn poppers has been delighting people with gourmet popcorn and delicious snacks and gifts since 1979. Whether you're shopping for family, friends, teachers or business associates, The Popcorn Factory® has great gourmet popcorn gift ideas for every occasion: birthday popcorn, gift baskets, graduation popcorn, college gifts, student care packages, movie popcorn or game night popcorn, kids pop corn gifts, popcorn balls to eat and decorate, corporate parties, business events, special times with loved ones and every holiday under the sun. We even offer sugar-free popcorn, too! 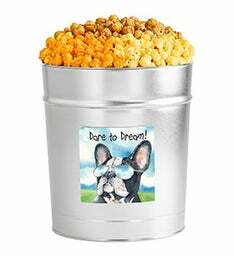 The Popcorn Factory specializes in fresh-popped popcorn in a variety of exclusively designed tins and packaging. 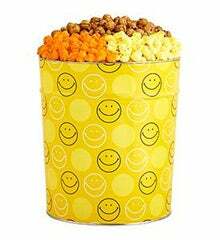 Our gourmet popcorn is always popped and packed fresh and made with high quality ingredients. We start with grown-in-the-USA corn kernels and air pop it. We then infuse our popcorn with great taste and flavor, including real butter, cheddar and other cheeses and 100% corn oil. 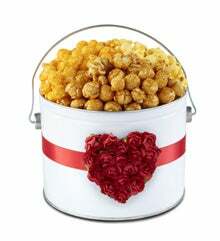 There is also our sweet, secret-recipe Caramel popcorn that is a signature gourmet popcorn flavor to The Popcorn Factory. 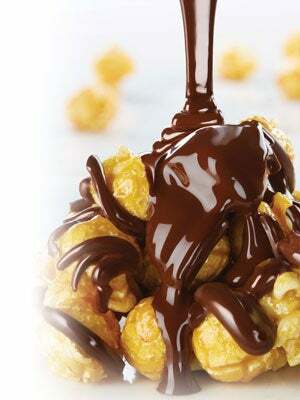 Our Caramel popcorn is tops and pops all other caramel popcorn out of the running! 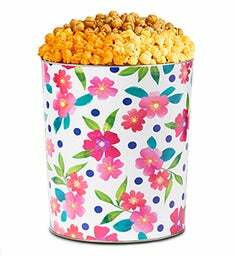 Made from a secret-recipe including the freshest ingredients, our Caramel popcorn will keep you coming back for more! 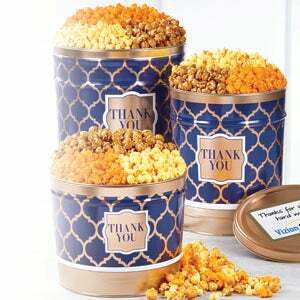 Trust us; you've never had Caramel popcorn this good before. 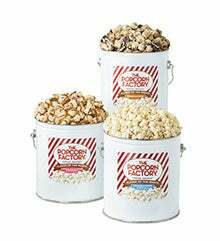 Other signature gourmet popcorn flavors include our Almond Pecan Corn, Jalapeño, Kettle corn, Buffalo Ranch, White Cheddar, Cinnamon, Caramel Apple and a variety of flavors that include chocolate such as Drizzled Caramel, S'Mores Corn, Dark Chocolate and Sea Salt and more! 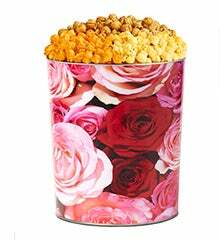 We are always coming up with new gourmet pop corn flavors to enjoy! 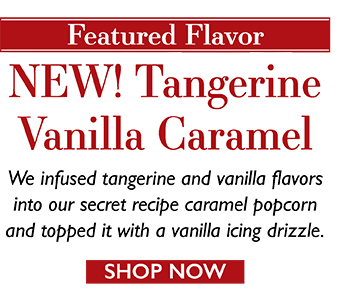 Many of our sweet seasonal gourmet popcorn flavors come from the same formula as our secret recipe caramel popcorn, so it's always guaranteed to be great. We have also tried out tons of gourmet kettle corn flavors like cranberry kettle corn, chocolate kettle corn, banana split kettle corn, key lime kettle corn, peppermint kettle corn, pink mixed berry kettle corn, and many more exciting gourmet popcorn flavors. 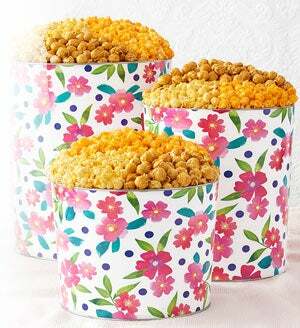 They are always fun to create even if we haven't gotten to release them yet. 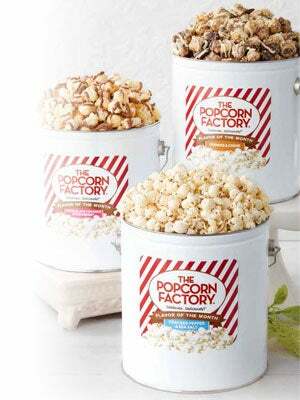 At The Popcorn Factory, we pride ourselves on packing fresh gourmet pop corn and shipping each order on time. 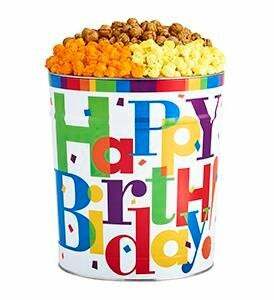 You will always receive your favorite gourmet popcorn treats like our signature caramel popcorn, kettle corn, popcorn balls, or any number of our fun college gifts, fresh as the minute we popped them. 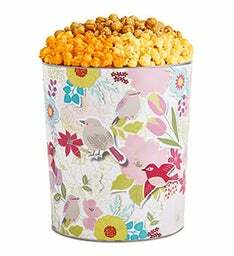 Simply search the pages on this site to find more information on our gourmet popcorn and to shop our full list of featured items, including top-selling pop corn favorites, ideal for sharing, like our popular 3-Flavor Popcorn Tin mix with our secret-recipe caramel popcorn, perfect for any college gift or family night. 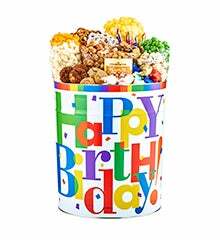 Or try any of our popcorn gift baskets with many of our other sweet treats inside. 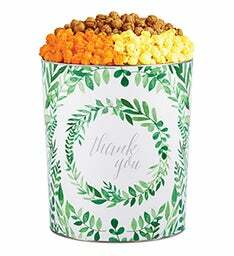 Customer service is very important to us and we stand behind every delicious gourmet popcorn gift we sell with our Popcorn Promise: both you and your recipients must be absolutely delighted-we guarantee it! If you ever have a question, email our popcorn experts at service@thepopcornfactory.com or call 1-888-216-0235. 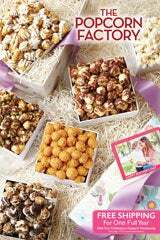 We welcome your comments! 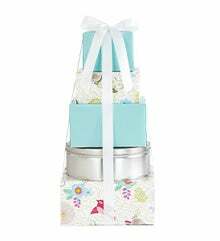 So, if you're looking to buy extra-special gifts that people will love, you're just a few clicks away. 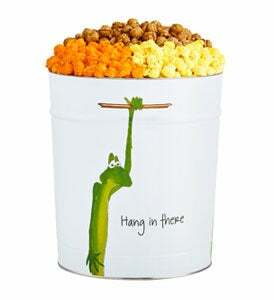 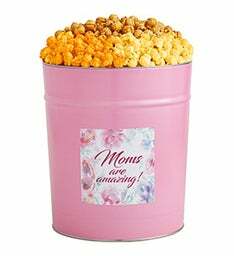 We offer an outstanding selection of popcorn baskets, gourmet popcorn college gifts, gourmet popcorn towers, gourmet popcorn gift boxes and popcorn tins-many of our fun designs can be customized with your personal message, photo or gift tag. 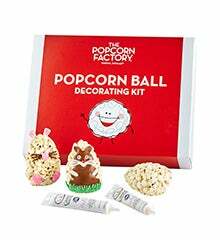 Delicious, people-pleasing food, candy and gifts from The Popcorn Factory make the perfect gift for anyone, for any reason and at any price. 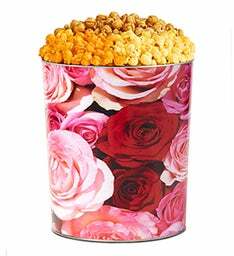 There's nothing more thrilling than opening the door to your home to find a gourmet popcorn gift created by The Popcorn Factory. 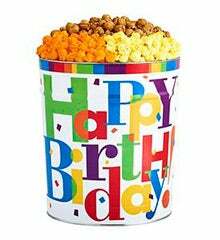 It's no surprise we've been the popcorn authority for more than 30 years!